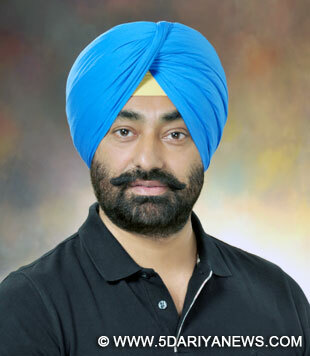 Aam Aadmi Party RTI wing head and senior leader Sukhpal Singh Khaira today said that due to anti-farmers policies of SAD-BJP Government, Punjab has been dashed to bottom in the list of states’ performance in agriculture sector.“It is shocking and surprising that Punjab, which used to be the synonymous of its flourished agriculture and known as “Food Bawl” of India, is having such a poor plight that it is dashed to bottom as per the NITI Aayog’s “Ease of Doing” Agri-Business index.As per the states’ score in the index, Madhya Pradesh is ranked fourth, followed by Haryana, Himachal Pradesh, Andhra Pradesh, Karnataka, Telangana, Goa and Chhattisgarh, Khaira said adding that two-third of the states, including West Bengal, Uttar Pradesh, Punjab, Assam, Jharkhand, Tamil Nadu and Jammu and Kashmir, had done poorly with regard to reforms in the agriculture sector, Khaira said. The Aayog’s ‘Agriculture Marketing and Farmer Friendly Reforms Index’ was based on initiatives taken by the states in implementing farm sector reforms. The index is aimed at helping the states to identify and address low growth, low farm income and agrarian distress.During the 10 years regime of Akalis, plight of farmers deteriorated to new low, which could be evident from the high number of suicides committed by farmers due to heavy debt, Khaira said adding that instead of taking steps to save farmers, Agriculture Minister Tota Singh was busy in minting money through supply of spurious pesticides to farmers. AAP leader said that AAP has rolled in a comprehensive plan in the form of Poll Manifesto to uplift the poor plight of farmers and said it was not mere a poll document but an agreement of AAP with the farmers of Punjab.“We again appeal to farmers to bear with us for another few months, as once voted to power, no farmer would be forced to take the extreme step of suicide, as they would be no more under debt and AAP is committed to implement the Swaminathan’s Committee’s report to improve the agriculture income”, Khaira added.Be it diversification or other agriculture reforms, Akalis have proved a big failure and were kept busy in making ‘cosmetic development’ in the state, he said.